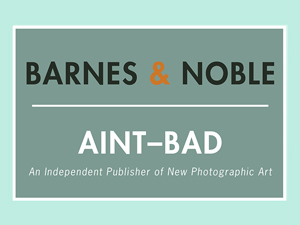 Interview by Aint-Bad Magazine Can you start off telling us a little bit about yourself? I was born and raised in Germany, when I was 19 I moved to London and studied Photography. I started out doing music photography and soon after moved to shooting documentaries and personal projects in Russia, China, India and Germany. 2 years ago I started Fishbar, a space for photography in East London, that I run together with my wife Olivia Arthur. I am currently working on my first book, Land without Past about Germany and the village I grew up in, and simultaneously on Fishbar’s next exhibition and publication Dalston Anatomy by Lorenzo Vitturi. Your series “Land Without Past” highlights a disconnect between the Germany of yesterday and the Germany of today, what do you see as being the biggest difference? Yes, there is a strong sense of disconnection from the past in Germany. The country has spent the past 40 years at least pouring over the Nazi past, examining it, remembering it and apologizing for it. While I am convinced this is a healthy and necessary process it has lead to a state where most Germans today are tired and fed up of being constantly confronted and associated with that particular part of their past and have as a result decided that all past should be gotten rid of. This was certainly the case when I grew up. I think maybe things are slowly changing now and Germans find it possible again to look beyond those years. Nonetheless the sense of disconnect is strong. Can a lack of “weight” from the past be considered beneficial to the progressive movement of a culture? I think Germans of my parent’s generation, the first post-war, so called ‘Wirtschaftswunder’ generation did not spend much time worrying about the past or what their parents did. They were concerned with rebuilding the country, building homes, having families and forgetting. They were mostly too young to remember much of the war and their fathers were either dead, or when returned from Allied ,often Russian, prisoner camps would not talk about the war. I often call 1945 the year Zero. Germany was utterly destroyed and defeated but with generous American support could start from scratch. In that sense the country’s first twenty years were ‘weightless’ and helped laying the foundation for the economic success of today. However that ‘weightlessness’ came back to haunt the country with the bloody terror of the RAF in the 70s. The next generation was outraged about their parents’ generations’ silence. They demanded to know what their grandparents had been up to and why ex-Nazis occupied influential positions in law, politics, schools and industry. The weight of the past that had hung over the “new” country had come crashing down. A profound and all encompassing research into the Nazi past started in the 70s and the left demanded a ‘Great March Through the Institutions’ to replace or depose all former sympathizers. This culminated in a remarkable way with the former leftist street protester and co founder of the green movement Joschka Fischer serving as foreign secretary to the Schroeder government of the 2000s. In my youth the past has only ever felt like a massive weight hanging over my head. I think it was one of the main reasons why I left Germany. But I can imagine the constructive way Germany has engaged with its past will eventually lead to a reconnection with all of its past and weight will feel less heavy. It might even become a source of strength. What most inspires you in your own photographic work? Currently what inspires me most is working with other photographers and distilling the essence of what their work is about. I find this helps enormously in clarifying my own ideas and showing up my own shortcomings. It is a truism that all photographers are their own worst editors, but I think because the nature of what we do is so often solitary, we need more than anything, distance to our own work and a good editor. The work on Germany has been with me for a number of years now and it has developed to a point where I think it makes sense to finish it and put it in a book. That is the biggest inspiration for me and I think many other photographers, to see your work published in book form. What camera do you consider your “work horse?” It changes. For many years the Pentax 6×7. I finally grew tired of its weight and soft lenses and started working with the hasselblad that I shot most of the Germany work with. I now shoot portraits and landscapes on a 5×4 Linhof and do my documentary work on a Mamiya 7. I am afraid it is still film all the way. 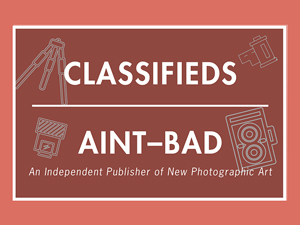 I do like the canon 5D but don’t want to give up working on medium and large format. You are also one of the owners of Fish Bar, a photography gallery in London, can you tell us a little bit about your space, how long have you been a gallery? Fishbar got going in December 2010 but we didn’t have the first serious exhibition until September the following year. From the beginning we wanted to combine boutique publishing with all exhibitions we do and we had and still have a lot to learn. We have now done two exhibitions that were accompanied by publications, have published Olivia’s first book ‘Jeddah Diary’ and have held two Photo Markets, were we invite photographers, self-publishers and small photo book publishers to show and sell their work. Last month we hosted two nights of film screenings of the new Saul Leiter doc ‘In No Great Hurrry’ by Tomas Leach. We are currently working on our next show ‘Dalston Anatomy’ by Italian photographer Lorenzo Vitturi about a local afro-carribean market that will again come with a publication and open next month. Can you talk about the bookstore of Fish Bar, and about the book project Unknown Quantities? Are you a publisher as well? Unknown Quantites was the publication that accompanied the Young Magnum exhibition at Fishbar and was published by us. We liked the idea of giving every photographer their own little publication and combine them in a box set. All 4 photographers generously let us edit and play with their work and we are very happy with the outcome. What is your favorite exhibition/event you have hosted at your gallery so far? Every thing we do is my favourite thing until its done and I move on. I am very proud of all the things we have done here so far and all our publications. What kind of things can we expect to see within the coming year? Lorenzo Vitturi’s exhibition ‘Dalston Anatomy’ accompanied by a small edition book. Then in the autumn we’ll start production on my book ‘Land Without Past’ and we have just agreed to publish American photographer Eric Gottesmann’s first book on Ethiopia. For more about Philipp and his work, please visit his website.